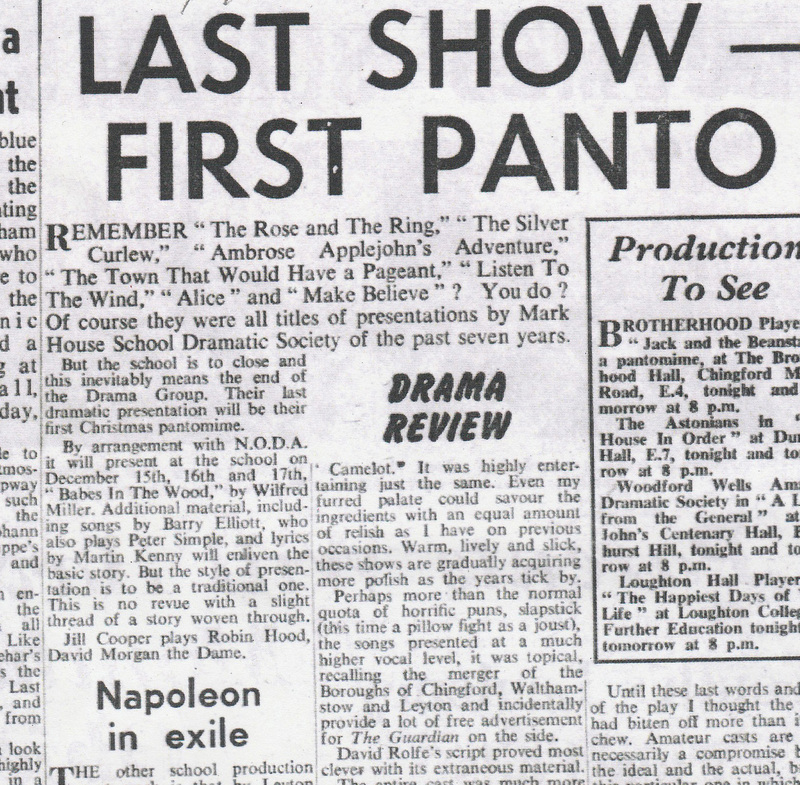 Following the ‘discovery’ of the 52 year old programme from ‘Life is Like That’ (staged in December 1964) – and even more recently confirmed by the Production Poster and the Guardian Newspaper Report shown below – it is now clear that Wilfred Miller’s ‘Babes in the Woods’ was indeed the first of the series of the eagerly anticipated ‘full length, all dancing, all singing (badly), all slapstick and locally renowned’ Markhouse Drama Club Pantomimes – save for the ‘mini’ version of Cinderella that was staged by the school’s 5x class in 1961 to mark their ‘release’ into the wider world of work! 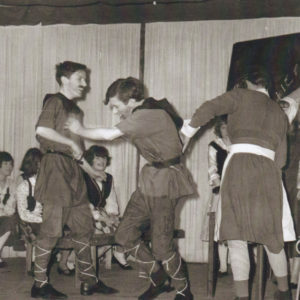 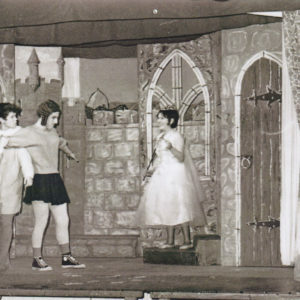 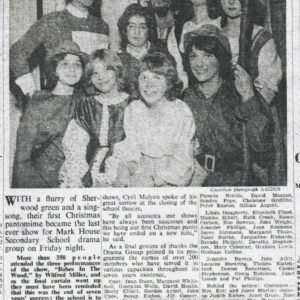 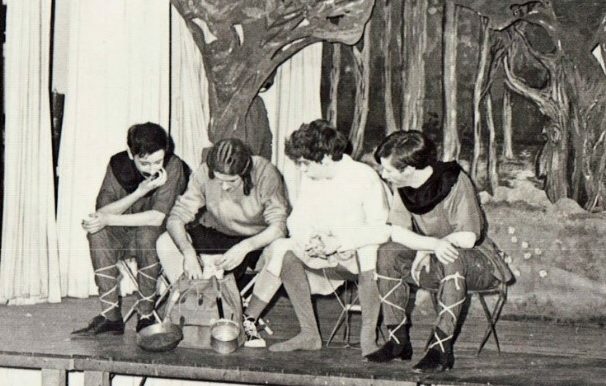 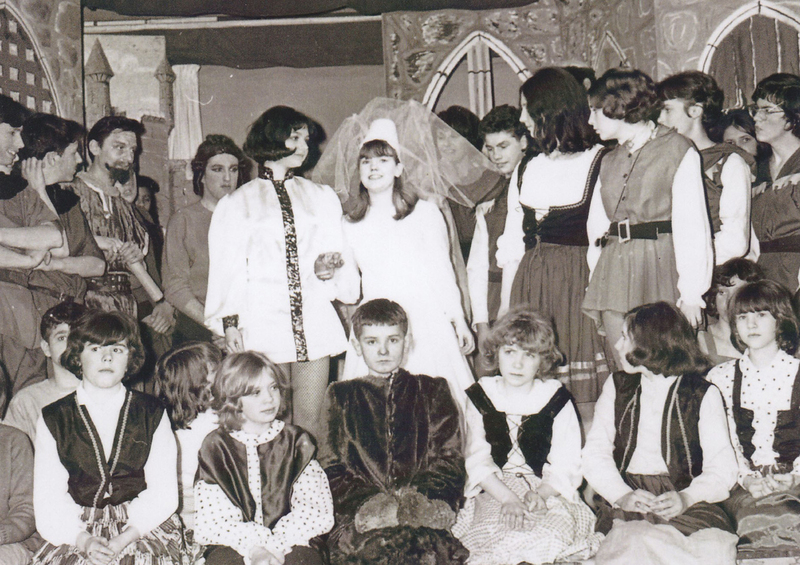 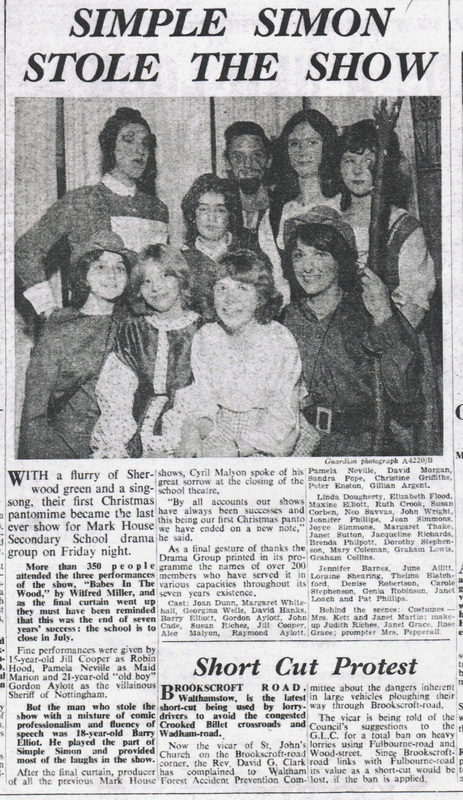 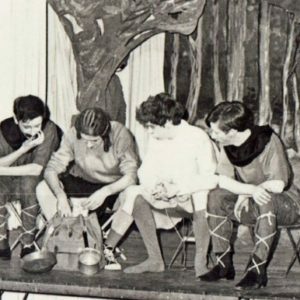 The Newspaper Report also confirmed the pending closure of the school – which did, of course happen a few months after this production – but not, fortunately, what was anticipated as the accompanying closure of the Drama Club! 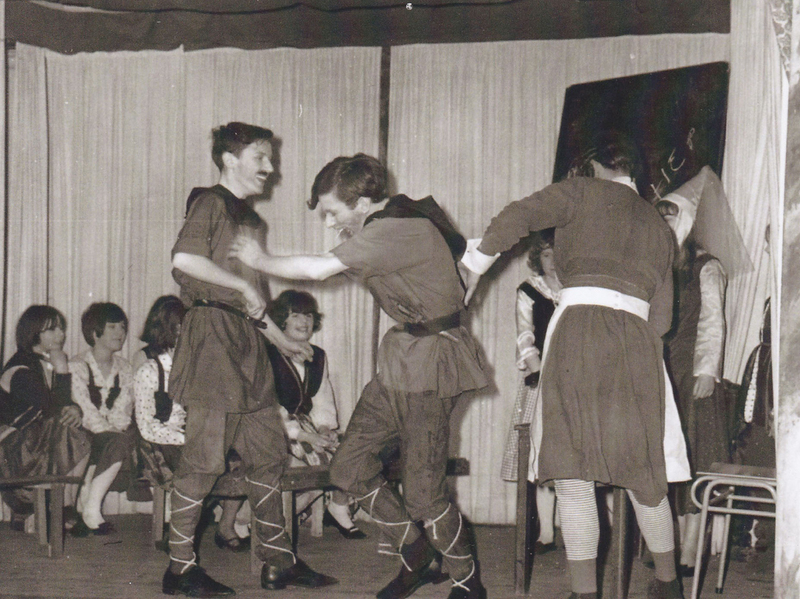 Ray in full forward flight having just received a whack from the Nurse! 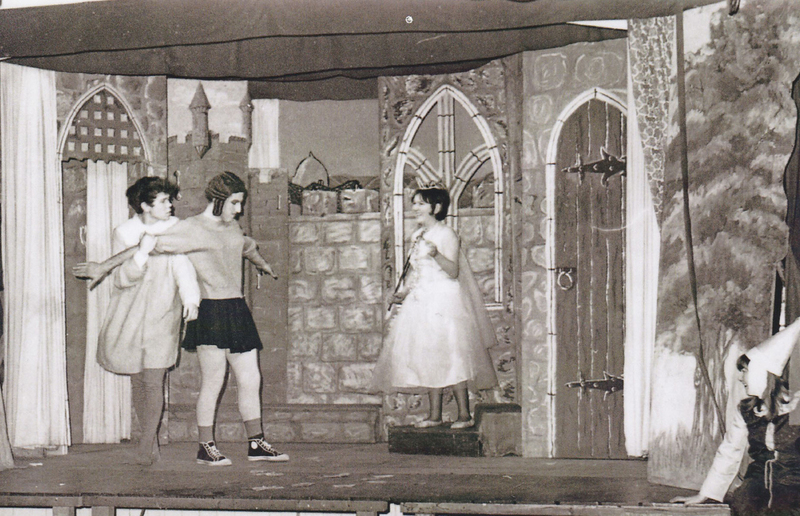 Barry, Dave & Joan as the Fairy Sunbeam – just flown in to wreak havoc! 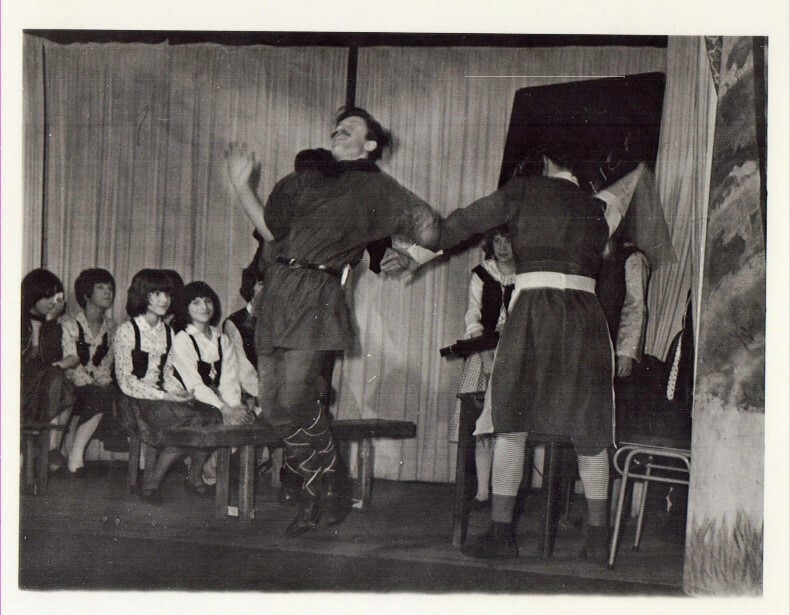 As a final gesture of thanks the Drama Club printed in its programme the names of over 200 members who had served it in various capacities throughout the seven years existence. 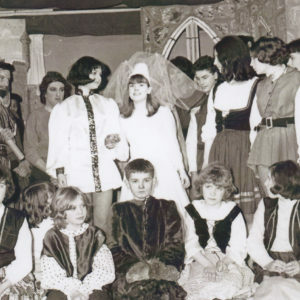 Cast: Joan Dunn, Margaret Whitehall, Georgina Wells, David Hanks, Barry Elliott, Gordon Aylott, John Cade, Susan Riches, Jill Cooper, Alec Malyon, Raymond Aylott, Pamela Neville, David Morgan, Sandra Pope, Christine Griffiths, Peter Enston, Gillian Argent. 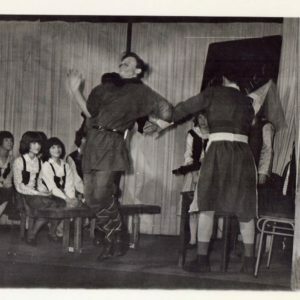 Linda Docherty, Elizabeth Flood, Maxine Eliiott, Ruth Cook, Susan Corben, Neo Savvas John Wright, Jennifer Phillips, Jean Simmons, Joyce Simmons, Margaret Thake, Janet Sutton, Jaqueline Richards, Brenda Philpot, Dorothy Stephenson, Mary Coleman, Graham Lewis, Graham Collins. 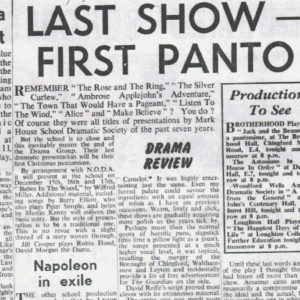 Note: It is hoped that the full original copy of this report will be found in the future searches of the Walthamstow Guardian Archives and that the missing lines can then be added.